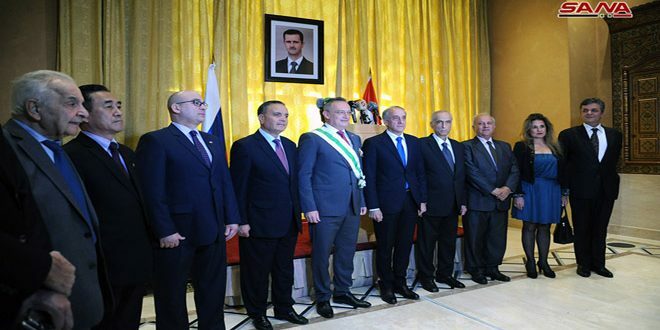 Damascus, SANA-Foreign and Expatriates Ministry on Monday held a farewell ceremony for the ambassador of the Russian Federation in Damascus Alexander Kinshchak who has wrapped up his diplomatic mission in Syria. 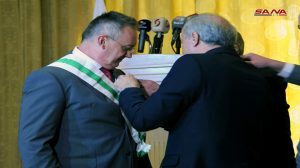 During the ceremony, Kinshchak was awarded the Syrian Order of Merit of the Excellent Degree in appreciation for his friendly country and noble personality. 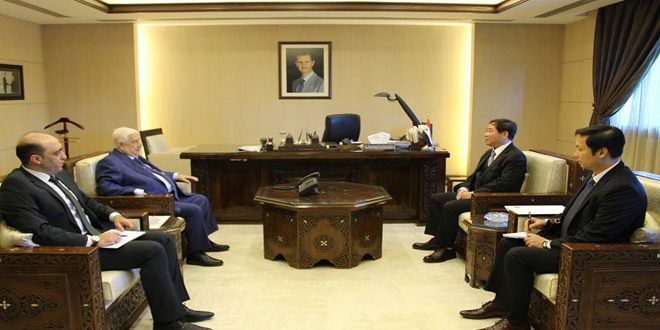 The ambassador thanked President Bashar al-Assad for awarding him this medal and for the fruitful and constructive coordination and cooperation, as well as the extraordinary treatment and great facilitations that the Syrian institutions had provided for him as an incumbent ambassador. Kinshchak hailed the victories achieved by Russia and Syria, affirming that they are poised to win diplomatic battles as they did on the battlefield, which will create favorable conditions for reconstruction, expressing trust in Syria’s victory and recovery. 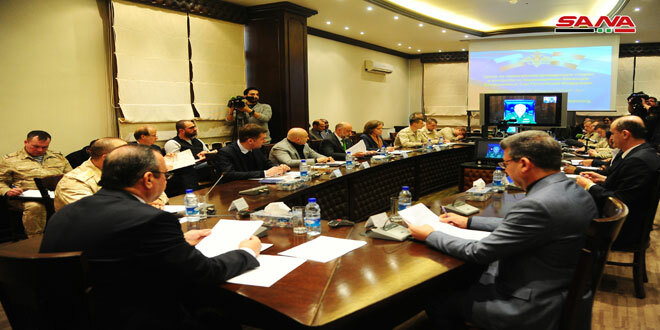 Assistant Foreign and Expatriates Minister Ayman Soussan said in a speech that Syria is satisfied with Russia’s powerful presence on the international arena which has become an indispensable necessity for a balanced world, indicating that Russia has proved through its support for Syria the authenticity of its principled policies which are based on respecting international law and its in-depth awareness of the danger that the scourge of terrorist poses to international safety and security. 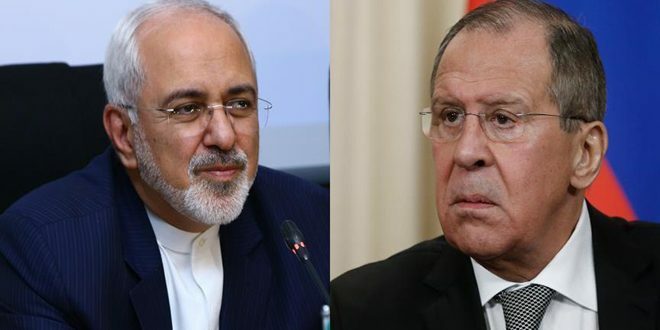 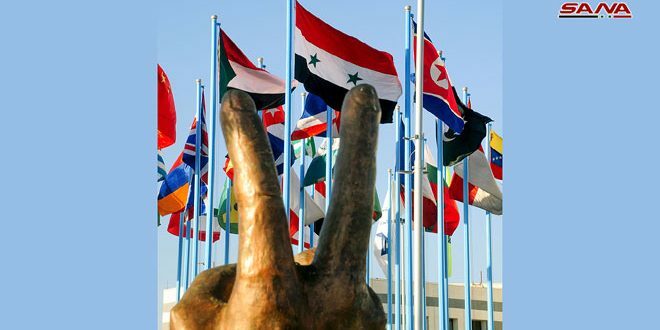 Soussan thanked the outgoing ambassador for his efforts which he said gave impetus to the cooperation relations between Syria and Russia towards achieving a strategic partnership in all areas.